The Hale County, Texas, website (http://www.co.halecounty.org) does not include public access to information about Hale County vital statistics, including birth, death, or marriage records. Persons interested in finding official information about public documents should make inquiries on the state website (http://www.dshs.state.tx.us/vs/default.shtm). Fees charged for these records are as follows: birth certificate, $22.00; marriage verification, $20.00; and death verification, $20.00 for the first copy and $3.00 for each additional copy. 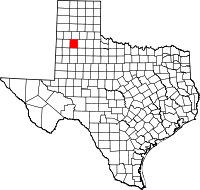 Records in Plainview, the Hale County seat, show that Seth Ward was born in Plainview in 1928, worked on farms in the county, and grew up to become entertainer and sausage-maker Jimmy Dean.